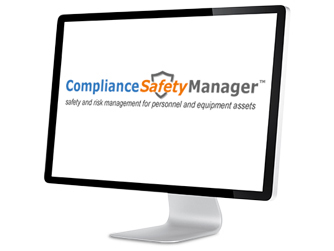 The CSM™ Risk Management Training Solution is an easy-to-use online employee safety training/tracking software management tool which helps you manage safety and risk more efficiently and cost effectively. Whether you want to provide more transparency to training records for everyone or just standardize a back-office system for training records administrators and managers, CSM’s Training Program allows you to create login accounts to define who can login, view, or edit the training records database. If you have been working with a paper or Excel based tracking system, you know how much work it takes to determine whether an individual is compliant with required training. Summarizing compliance metrics for a Group or the entire Company can be a daunting task without a training records database. With CSM’s Training Program, you can print these reports at any time without the trouble of manually collating and preparing the data. Retrain based on calendar time, course version, or one time only. Export data and reports to multiple formats. Send class session reminders by email. Email and share training results with Partners, vendors, and others needing verification.